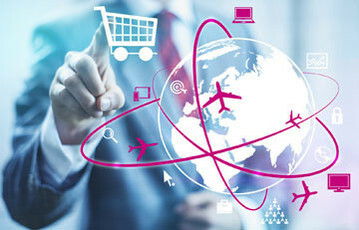 The European Union (EU) is hoping new cross-border regulations will help boost e-commerce trade. Yesterday, EU negotiators reached a provisional agreement that it is hoped will make prices for cross-border e-commerce more transparent and affordable and increase regulatory oversight of the parcel market. To improve price transparency, the regulations aim to foster competitive pressure by allowing users to easily compare domestic and cross-border tariffs. Parcel delivery providers will have to disclose prices for the services individual consumers and small businesses often use, which the Commission will publish on a website. On regulatory oversight, where parcel delivery is subject to the universal service obligation, which ensures important services are affordable, National Regulatory Authorities will assess whether tariffs for cross-border services are unreasonably high compared to the underlying cost. National regulators will be given new powers to identify better parcel service providers and the services they offer. “This will allow them to get a better overview also of the many innovative new players in the fast-growing EU cross-border e-commerce market” the EU said. Vice-president Andrus Ansip, responsible for the digital single market, said: "High delivery prices are a major concern for consumers and companies, especially SMEs. “With more transparency and a stronger role for the regulators, we are tackling this issue. Commissioner Elżbieta Bieńkowska, in charge of Internal Market, Industry, entrepreneurship and SMEs, added: "Millions of Europeans choose to buy presents online, but still face many obstacles, including high delivery prices and unclear return options. The provisional agreement now needs to be finally approved by the Parliament and the Council. It is expected to formally enter into force at the beginning of next year and it will be fully applicable in 2019.